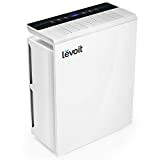 Levoit - LV-PUR131: Air Purifier Review • The Air Geeks, reviews of air conditioners, dehumidifiers and air purifiers. When it comes to air purification size matters only up to a point where you start to wonder whether the quality of work done actually matches the size. Most air purifiers fail to get the right mix and most users complain not feeling any significant difference despite going for larger models. However, this changes once you start using Levoit air purifiers. These purifiers boast some of the highest reviews on the market and are highly recommended by most users. Levoit LV-PU131 is no different. It boasts some of the best features available while at the same time ensuring the safety of the users. As you may already know, Levoit purifiers use True HEPA Technology to ensure 99.97% of the air you breathe is free of any dust particles or smells from either smoke or mold. It does this through its 3-stage filter system that consists of a pre-filter, True HEPA filter before being passed through a third filter consisting of activated carbon. This ensures dust particles as small as 0.3 microns, pet dander and smoke and bad odor is removed from the air before it gets to reach to your respiratory system and skin bringing all sorts of problems. This type of filter-technology ensures the safety of users while at the same time providing quality air. Many of the purifiers use UV or ionization technology which produce trace amounts of ozone to the air. Ozone has been proven to be an air pollutant and also a hazard to people if they are exposed to it for a long time. With its size, it is able to purify air on a space of up to 30m2, which is an equivalent to a large living room. This is quite impressive given that it manages to do that in under 10 minutes. As a middle-sized appliance, you will need two or three of them if you need to purify a whole floor or just opt for another. This purifier is also one of the coolest purifiers on the market today. Its sleek and attractive design makes it very nice to be placed in the living room along with your best-looking furniture and it will not look misplaced. The control panel is well labeled and very feature-rich. You can choose between the 3-fan settings to your preference, or opt to use the timer button which sets the amount of time it will run before going off. Having a display panel is also useful as you can be able to tell how and when the purifier is working. It also does well to keep the noise down to its minimum. In fact, there is a sleep-mode feature that makes sure that the appliance is completely quite any time you need to take a nap, at night or if in a study room. If you don’t want to set the parameters yourself or are not sure, you can switch on the auto mode that changes the rate and level of fan speed according to the current air conditions. When it’s time to change the filter (usually about six months, depending on the air quality and the frequency of use), this purifier will happily notify you so you can replace it. This alleviates the stress associated with having to tend to an appliance every now and then. It also comes with a 2-year warranty ensuring support in case problems arise with the parts or any issue regarding usage. Levoit LV-PU131 is energy star-certified, which means it works well while at the same time conserving energy which reduces the overall operating costs. Lastly, the purifier is the compact and lightweight which facilitates movement in the case, for example, you want to be able to change places every now and then. One crucial feature lacking though is the caster wheels at the bottom. Though not a very important per se, they are very crucial in case you don’t feel like lifting it up and just want to give it a little push. The sleep mode is very quiet: If you love quiet rooms when sleeping the auto-sleep mode is very efficient. Auto sensing mode purifies according to the air quality: This ensures the energy is conserved and the correct amount of power is used. Quiet, nice looking, and I love the auto feature. It runs at a higher power when it detects more allergens. I have a small dog who snorts a bit when she breathes and who has had the teary stained eyes that some little dogs get. This purifier has completely eliminated her eye congestion and has helped her breath easier. It did the same for my friend’s dog as well. Very pleased!" I am incredibly pleased with my Levoit Air Purifier. I spent a fair amount of time researching air purifiers and made a great buying decision on this one. We have used it for about a month and have noticed a difference in the reduction of dust and the air smells fresher. The auto feature is awesome! It will stay on first setting until it senses air not good then it kicks in to next settings. Lights will indicate air quality." 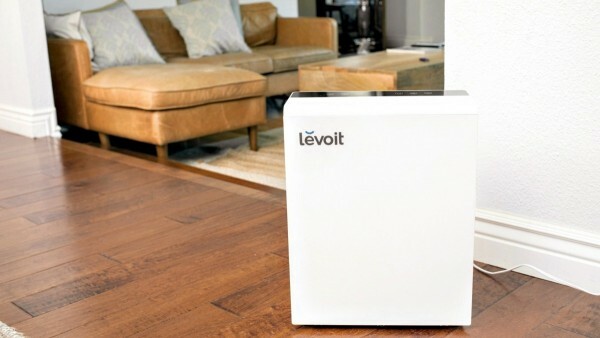 Levoit purifiers have a huge following, and this one is no different. With their artful look and affordable prices, we don’t think they would hardly disappoint. Levoit LV-PU131 is particularly feature-rich purifier that ensures all the features consumers want are squeezed in as much smaller price as possible. It is FCC& CE-approved, thus you are assured it meets all the strict safety and quality requirements. This is the ideal appliance for anyone looking for a good purifier for their newborns or pets and while at the same time being conscious of the appearance to avoid eyesores.